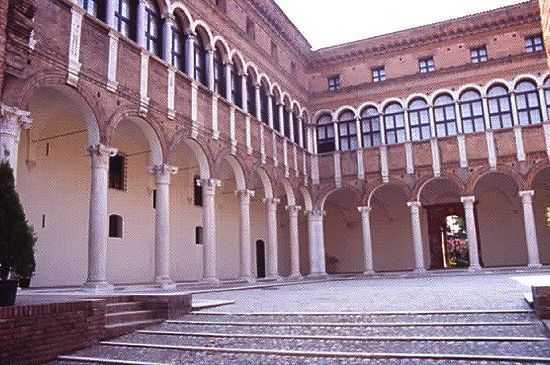 Palazzo Costabili, better known as Palazzo “Ludovico il Moro”, has been home to Ferrara’s National Archaeological Museum since 1935. 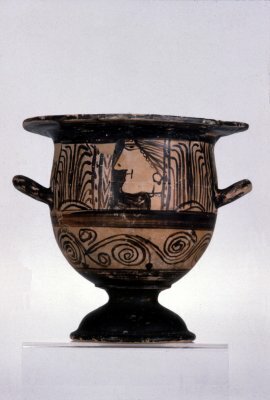 Renowned for its large collection of exquisite Etruscan-Greek red-figure Attic terracotta vases, the museum testifies to the ancient archaeological history of the whole province. 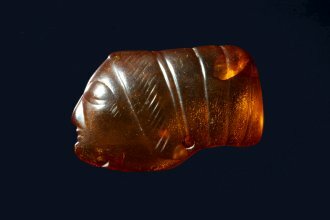 Of world importance are the exhibits from Spina, an Etruscan port that flourished between the 6th and 3rd centuries BC and a major Etruscan site of the whole region. The exhibition also contains grave furniture found in some of the four thousand plus tombs in necropolises scattered throughout the nearby Trebba and Pega Valleys. The beauty and craftsmanship of the objects that accompanied the dead to the afterlife are unique. 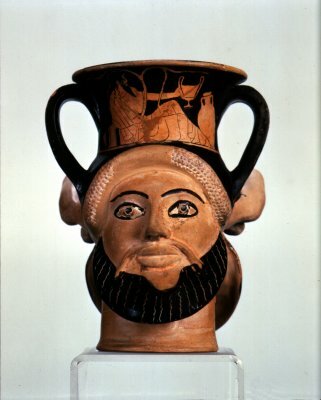 Among the museum’s most prized items is its collection of Attic pottery, in particular, red-figure vases from the 5th century BC. The ritual feasts and convivial scenes depicted in repetition around the bowls throw light on the lifestyles of the society, especially its members of rank. From 1986, several radical restoration projects were carried out on the building. In 2005, an all-embracing plan to renovate building, museum equipment and grounds was got underway with the backing of the Regional Bureau for the Cultural Heritage and Landscapes of Emilia-Romagna funded by part of the 2004-2006 Lotto (Lottery) Funds allocated by the Ministry for Cultural Heritage and Activities. June 2007 saw the opening to the public of eight new rooms on the first floor, doubling the museum’s exhibition space. As a result, some 550 additional pieces of grave furniture dating from the 4th and 3rd centuries BC from necropolises of the Trebba and Pega valleys were put on show. 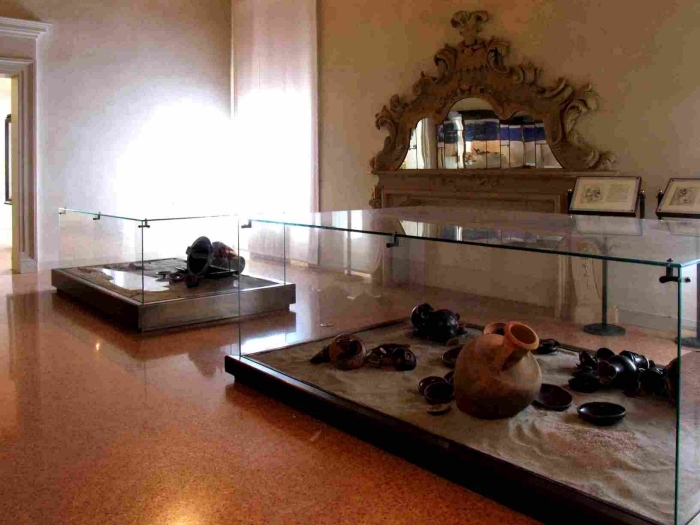 These are now in the room dedicated to the crafted artefacts from Spina and include krater vases, extraordinary dishes laden with fish, and two reconstructed burial places from Spina. 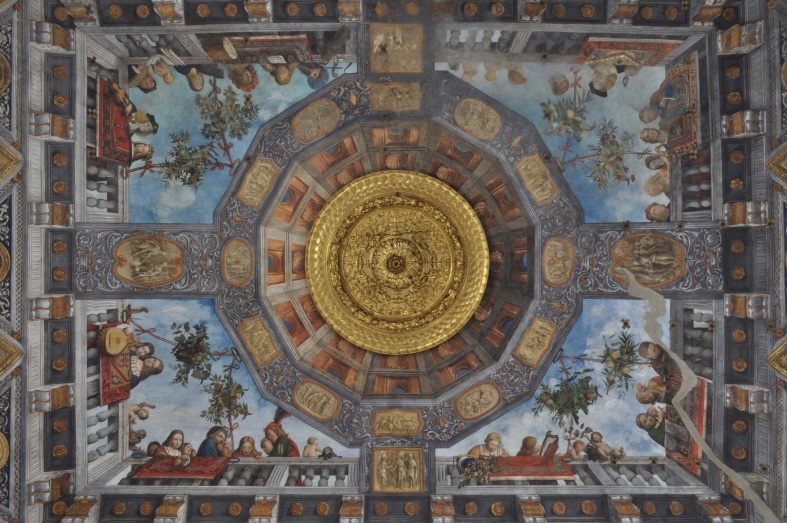 2007 also marked the completion of restoration work on what can be considered one of the most beautiful frescoed ceiling vaults still in existence in Ferrara, in the Aula Costabiliana, otherwise known as the “Sala del Tesoro” (Hall of the Treasure) painted by Benvenuto Tisi da Garofalo between 1503 and 1506. 2010 will see a series of events aimed to return the Palazzo and its museum to its rightful place on the cultural scene. The second year of the event “Musica ed Arte al Palazzo di Ludovico il Moro” includes a series of concerts at Palazzo Costabili, held over 15 weekends from 21st February to 12th December 2010, by musicians dedicated to preserving and performing an ancient musical heritage. The palazzo is the ideal venue for these performances. By the end of 2010, further refurbished exhibition space will be made available along with new teaching and learning equipment. The “Sala delle piroghe” (Hall of the Pirogues), closed for renovation after decades of decline, was officially reopened to mark the “Notte dei Musei” on 15th May when museums stay open until very late. The new exhibition setting for the “Sala degli Ori” (the Hall of Gold Jewellery), developed in collaboration with jewellers Bulgari, will be inaugurated on 10th June. On 18th June, the neo-Renaissance gardens of Palazzo Costabili, an extraordinary example of an old Ferrara-style formal garden will also once again be officially opened to the public after a long period of restoration. Work was based on in-depth historical and archival research together with agronomic, palynological and archaeological studies. Ferrara’s National Archaeological Museum has enlarged its exhibition spaces and broadened its general public appeal. The “Night of the Museums” on 15th May saw the re-opening, after painstaking renovation, of the Hall of the Pirogues. 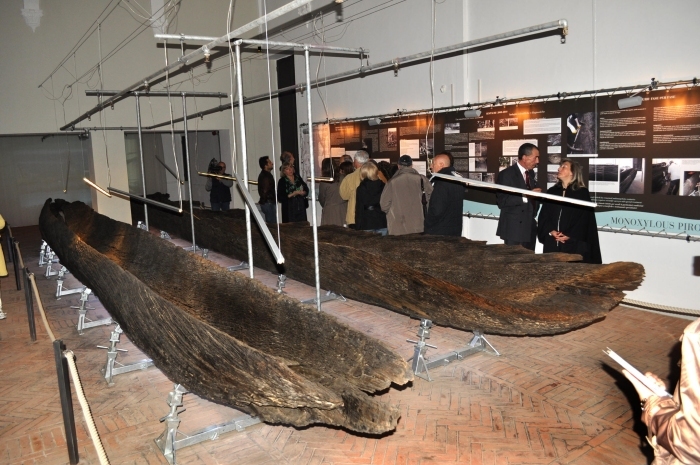 Discovered in 1940 in the Isola valley in the province of Ferrara, these two flat-bottom log boats, each made from a single trunk, probably date back to the late Roman period (3rd-4th centuries AD.). They were a chance discovery during the digging of a canal in northern Comacchio, a large stretch of reclaimed land around the Po river delta. Initially the boats were left where they had been found and recovered with earth. They were excavated later in 1948 and taken to the Ferrara museum where they have been ever since. The log boats became an immediate public attraction until the museum was closed in the late Eighties as restoration work on Palazzo Costabili got underway. Restoration and conservation work on the two boats was made possible thanks to 2004-2006 Lotto (Lottery) funds. The restoration was supervised by the Regional Bureau for the Cultural Heritage and Landscapes of Emilia-Romagna and conducted under the scientific direction of the Emilia-Romagna Archaeological Heritage Bureau. The Opificio delle Pietre Dure of Florence and CNR-IVALSA of Sesto Fiorentino collaborated on in-depth scientific analyses and diagnostic tests to identify the physical and chemical properties of the wood species in question, the extent of deterioration and the products used during previous restoration work. The length of the boats (14.76 and 12.10 metres respectively) meant that all work had to be conducted in the exhibition room itself. This was, however, an opportunity to give visitors a new take on the museum’s famous attraction, since restorers were on hand, while the museum was still open, to explain the complex and delicate issues involved protecting and conserving an archaeological treasure. As well as adopting state-of-the-art technology such as fire sprinklers, the new exhibition hall containing the log boats has a decidedly nautical feel. The boats are set on visible metal supports and cordoned off with nautical rope. Explanatory material and information systems have been redesigned and the exhibits are now illuminated with very effective hot and cold LED lighting giving the impression of sun reflecting on water. The opening of the new Hall of Gold Jewellery on 10th June will be another opportunity to highlight the major standing of Ferrara’s National Archaeological Museum. Much of the collection of jewels and artefacts will be on display for the first time. It is a fitting complement to the exhibition of grave furniture from the Spina necropolis. The refined, innovative exhibition setting was developed by the Emilia-Romagna Archaeological Heritage Bureau with the technical assistance of jewellers BVLGARI. The goldsmith workshops of Spina, mainly dating from the end of the 5th century BC, testify to a period of generalized affluence in this Etruscan port. They also demonstrate the masterful craftsmanship of its goldsmiths. Gold, silver, amber, semi-precious stones and vitreous glass paste were the materials most prevalently used. In the darkness of the tombs they reflected the power of their owners and the pomp and ceremony that surrounded their use in everyday ritual or on special occasions. 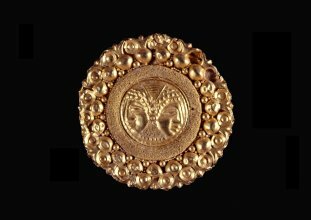 Unlike the large numbers of 5th and early 4th century BC Attic vases on display, gold artefacts were an exceptional element of grave furniture in Spina and almost exclusively found alongside women. Finds include amulets made from a variety of materials, and gold trinkets that had been carefully concealed in the tombs. Made almost certainly by local artisans using traditional methods, Spina jewellery nonetheless testifies to the creative flair of their makers and their ability to both adapt and set new fashions. Indeed Spina artisans had that combination of technical and artistic skills that have always been the key to success in the luxury goods world. As well as symbols of family prestige, the gold and other precious stone artefacts found at Spina conjure up the charismatic figure of the goldsmith, a god-like artisan, master of materials symbolising the eternity that eludes the short-lived cycle of human existence. Just as today, jewellery had a fascination for the ancients. Theirs was a mixture of appreciation for the intrinsic value of the artefact combined with a host of other meanings and values. As well as its economic, technical, historical and artistic worth, gold jewellery has an emotional charge. It embodies the incorruptibility of a material in stark contrast to transient human life. 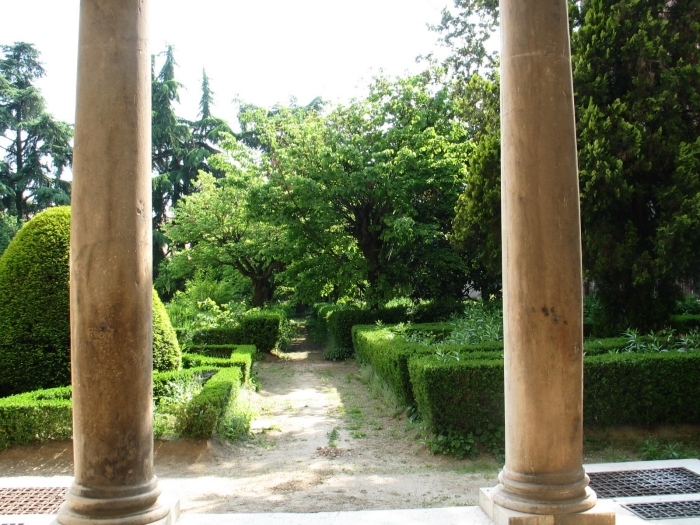 On 18th June, the National Archaeological Museum of Ferrara will once again open its gardens and grounds to visitors after many years of closure for complete restoration. The south facing gardens of Palazzo Costabili are the only example of historic formal gardens to have survived in Ferrara. They are not in fact the original Renaissance gardens but a re-make carried out when the building was restored in the 1930s. Moreover these grounds were not the site of the ancient Renaissance garden but, at least in part, where the former vegetable gardens lay. The formal gardens were situated along Via della Ghiara on the east side of Palazzo Costabili. Only a tiny parcel of land remains to mark where these once lay. Today we only have documents and old sketches that nonetheless give a fairly accurate idea of what the former gardens were like. The south facing grounds underwent numerous alterations, especially during the Fifties. Unsuitable trees and shrubs were planted, more since they were fashionable at the time rather than because they were part of any landscape plan. The technical equipment in the grounds had also become obsolete and the considerable maintenance requirement now exceeded the capabilities of the museum staff. As a result, several trees had begun to show signs of severe decay. For this reason the Regional Bureau for the Cultural Heritage and Landscapes of Emilia-Romagna decided to use some of the 2004-2006 Lotto (Lottery) funds for an approved regeneration and landscaping project of the museum grounds. Restoration was based on formal, historical criteria. In addition, reorganization has optimized maintenance requirements. Prior in-depth investigations provided a detailed framework for the operational plan. Archaeo-botanical and palynological studies of pollens and other organic structures provided a picture of the plant species grown in the grounds down the centuries. Agronomic studies in collaboration with the City authorities provided a full status report of soil and plant conditions while archaeological studies reported key new findings regarding the garden’s former layout and built structures. All this information was the basis for restoration that would give a new lease of life to the gardens. Today the new layout reflects the historical gardens of past eras with its geometrical pattern of the walkways bordered by box-tree hedges, maze and rose pergola against a backdrop of majestic Lebanon cedars. To the east, what remained of the former splendid Renaissance ground plan has been restored. Today it includes an area displaying tombstones from the Spina necropolis made of stone from all over the Mediterranean, a testimony to the wide commercial connections of the port of Spina. The project was drawn up by architect Maria Luisa Mutschlechner with the contribution of many specialists and the collaboration of Padua-based Studio Associato Pangea. The City authorities appointed agricultural expert Giovanni Morelli of Studio Associato PROGETTO VERDE to conduct the preliminary assessments of the gardens’ soil and plants. Historical archival research was conducted with the collaboration of architect Caterina Tantillo within the framework of a research agreement with the University of Rome La Sapienza. A series of archaeological surveys was carried out in the gardens by the Cooperative La Fenica – Archeologia e Restauro. Palynological studies were coordinated by Ms Silvia Marvelli of the C.A.A. Nicoli Centre of San Giovanni in Persiceto to identify the use to which to the grounds had been put and the plants that had grown there from the 15th to the 16th centuries. This exhaustive preliminary research provided a clear framework within which to implement the restoration project. As already mentioned, the original Renaissance garden had long since disappeared. Old drawings and sketches indicate that it stretched in an easterly direction from the palazzo and included stables and several work sheds. Archaeological evidence shows that the present-day gardens to the south had a dividing wall running across the whole plot, with a door giving access to the outer area, a vegetable garden and orchard. The wall was demolished around the mid 19th century. The orchard remained until the beginning of the 20th century. When the museum building was restored in the 1930s, the southern and eastern gardens were re-designed according to the idea at that time of what a Renaissance garden must have looked like. A technical draftsman called Stanzani drew up the plans. The new garden took no account of what may have existed before. It was rather the result of an imaginative mind diligently following instructions from the Ministry on the concept layout of a typical Ferrara-style Renaissance garden. By 1935, the garden had a simple, compartmental layout with square enclosures and flowerbeds surrounded by box and prIvet hedging. In both the south and east facing gardens, the former pattern of paths was retained. They ended in semi-circular box-hedge recesses, or esedras, which, however, obscured the view. When the present-day restoration project got underway, the grounds were basically still the 1930s’ version, with the exception of a few sporadic additions that had little in common with their setting. In the Fifties, the maze and other box-tree features had been added inside the square enclosures that had been left empty in the 1930s’ re-make. Subsequently added too were Arizona cypresses, yews, thujas, Juda trees, robinias and firs, as well as the rose pergola. The formal garden design became gradually blurred over the years by the disorderly addition of a medley of trees and shrubs. Another consequence was to increase the already heavy maintenance burden. Taking in hand a garden that over the years had developed in an inorganic, disorganised fashion meant not only formal and aesthetic re-design but also thorough re-thinking of public safety and security factors. Lack of regular upkeep had triggered severe self-destruction of many plant species. Restoration was conservative, taking into account both archaeological evidence but also the imaginative re-make of the Thirties and subsequent alterations. The form and pattern of the hedges were left unchanged as were the paths and other features such as the maze and rose tunnel since they had become distinctive characteristics. The Deodara and Lebanon cedars bordering the south end of the garden were pruned, dead wood removed, and their leaf canopy raised. The hedges lining the pathways and forming the maze were cleaned up and gaps filled with new plantings. The four yews were repositioned in the centre of the square enclosures beyond the well so that they no longer block the view from the entrance. This returned the garden to its formal design and also help preserve the archaeological elements found buried at a depth of 80-100 cm. The tuja trees and the single magnolia in the square enclosures along the sides were replaced by two pomegranates. Evidence shows that the pomegranate, a frequent feature of Renaissance landscapes, had already been a feature of this garden. Pomegranates are also included in Garofalo’s frescoes that decorate the “Sala del Tesoro” (The Hall of the Treasure). The flowerbeds were re-designed. Herbaceous, creeping plants and flowering bulbs were laid down in the square enclosures to ensure long-standing, non-invasive ground cover. The compact mass of shallow-rooting coloured flowers creates a striking contrast with the hedge patterns. The perimeter garden wall was covered with flowering climbing plants such as roses, hydrangeas, clematis armandii and Canadian vine that grow well against iron gratings. Finally, the garden was given a modern lighting system. The archaeological discovery of Spina followed step by step the drainage process of the valli (marshes) around Comacchio, now fruitful lands where the intensive agricultural exploitation has almost completely cancelled the traces of their ancient population. The first to come to light was the necropolis of Valle Trebba (1922-1935), followed by the necropolis of Valle Pega (1954-1960) and finally by the built-up area (drainage of the Valle del Mezzano, 1960). The town was originally founded on the right bank of the Po river, taking advantage of the irregular shape of a modestly extended high ground emerging from the marshy landscape and maybe flanked by smaller inhabited centres. Its boundary was backed by huge fences. Piles driven into the clay, foundation beams, fascines, canes and bark drained and backed the land on which dwellings were built. These were made from the basement with a wooden framework and pressed clay. Roofs were also lightweight. Canals and streets, some of which had a cobbled paving, intersected each other amid these buildings, which probably during the late 5th century B.C. were shaped following to a plan which gave the town a regular right-angled lay-out. The frail and modest appearance of the buildings, demolished and rebuilt several times, also because floods and fires must have been very frequent there, is the dominant feature of the town. Only residential quarters and some commercial areas are known which did not give any idea of monumentality. Neither had the necropolis itself any sign of monumentality. It stretched, a few kilometres east of the inhabited centre, over sandy dunes close to the sea. The dunes, which developed southwards, were ploughed by the Spinete branch of the Po river and had been formed by the river itself. Within the burial ground, both the ritual of cremation and interment made the dead to be buried in graves which were sometimes indicated with a tombstone made of marble or limestone (small columns, cippus, more often river stones) without epigraph. Only the slightly wider size of the grave and the number or the value of the objects accompanying the dead on their journey to the Hereafter or adorning their clothes or corpses stood as a sign of estate and wealth, unlike other places where this status was expressed through a magniloquent external apparatus. The wealth of these graves is therefore that of their equipment, mainly composed of figured and non figured Attic vessels belonging to the 5th and 4th century B.C., followed by moulded and laminated bronzes (candelabra and vases with several shapes), perfume bottles made from glass and alabaster chalk, amber and gold jewels, the more modest but no less important pottery of local craftsmanship and the furnishings which were brought to Spina from other peninsular areas (Veneto, the South of Italy and Sicily, Etruria) and from some Greek regions (Corinth and Beozia for example). The town, a centre for the storage and merchandising of the goods close to the sea, on the banks of the river, was therefore a characteristic expression of the strong and far-reaching political and economic power exercised by Etruscans over the eastern part of the Po Valley and its 'Hellenism' was the result of an extensive and widespread assimilation of the Attic culture. The history of Spina, short and intense, lasted less than three centuries. It was founded in fact at the end of the 6th century B.C., reached the height of economic development in the period between the second half of the 51h century and the first quarter of the 4th century B.C. and totally declined in the 3rd century B.C., being the last bulwark in the northern Etruria which surrendered to the pressure of the Gallic peoples. The National Archaeological Museum of Ferrara now revives these topics by presenting, in the six newly opened rooms on the first floor, samples of the materials coming from some of the most interesting graves of the necropolis. They are arranged in chronological order starting from the most ancient period and, looking at them in relation to the other objects, exhibited in full, you can see the change of habits through filtering the different social roles played by each individual in the community. 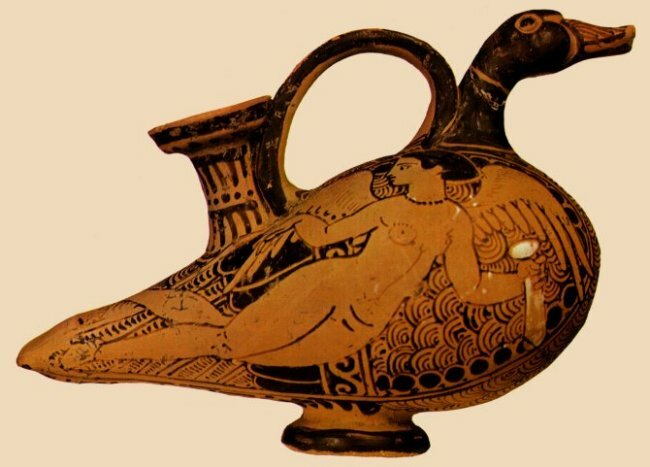 And even more emblematic - standing as a sign of their wealth and their culture - is the presence of the huge vases, which are the result of the creativity of the most renowned and active masters of the Kerameikos period. Their epic and, mythological representations cast a shadow with their commemorative language over the events of politics and power of Athens today.